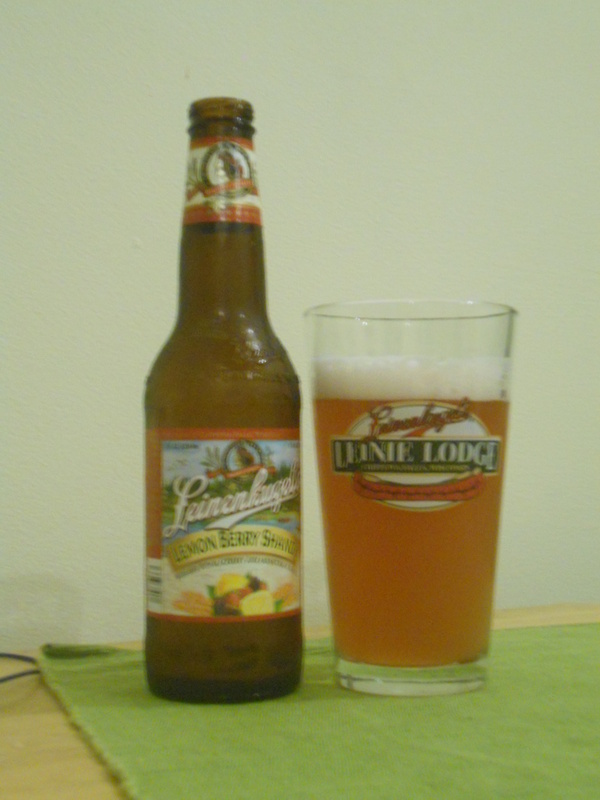 By popular request (meaning my dad asked me to) I present to you my review of Leinenkugel’s newest (and year-round!) shandy: Lemon Berry Shandy. As my regular readers know I am a HUGE fan of Summer Shandy. The beginning of Shandy Season is the highlight of my May. Or as was the case earlier this year, the highlight of my February 29th. Despite my love of that lemonade beer from Chippewa Falls, I hadn’t yet picked up some of this new brew. Possibly because I had only been able to find it in 12 packs and I’m just not that interested in 12 beers I may or may not like. But I found a six pack two weeks ago, and now I’ve finally gotten some time to drink one! Style: Fruit/Vegetable Beer. This is really an unfortunate category because it lumps Sam Adams Cherry Wheat (not that great) with New Glarus Raspberry Tart (amazing.) And it includes everything in between. Basically, these beers taste like the fruit or veggie added to them and there isn’t much else in terms of malt or hops to speak of. Overall Impression: Do you like lemon? Do you like berries? Do you like them even more together? This is like the Powerthirst (warning-video link) of berry lemonade. Honestly, I didn’t like it as much as Summer Shandy but it wasn’t bad. Definitely more of a summer beer than a fall. Also, it tasted like a Honey Bear (Berry Weiss + Summer Shandy) and while this, being in one bottle instead of two, is certainly cheaper, I wanted something new and a little more different. Appearance: Ooo! It’s pink! Okay, well, it’s pink-amber but hey, close enough. Head dissipates very quickly. Cloudy–basically looks like you put Berry Weiss and Summer Shandy together. I think Leinie’s might be trying to capitalize on the Honey Bear phenomenon. Taste: Berry! And lemon! And….not much else. Mouthfeel: Light, lots of carbonation. It pretty much feels like it should. I have a confession to make. 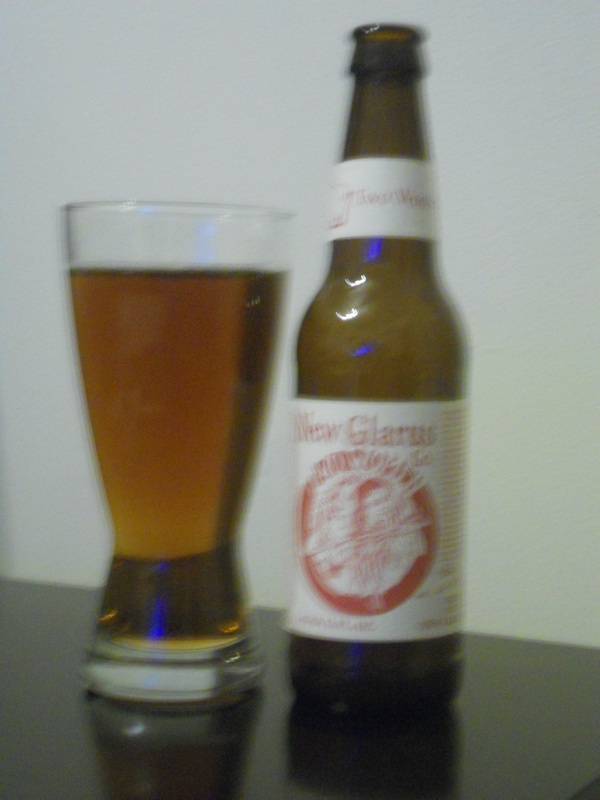 I actually had a New Glarus Dancing Man Wheat before I drank this beer, but I cannot stand Hefeweizens. So there’s really no way I could have reviewed that beer objectively. According to BeerAdvocate it’s really good (averaging 96.5.) If someone wants to review it and send me the review I’d be happy to post it as a guest post! But more about the beer I actually did drink. Today’s selection is from Capital Brewery in Madison, WI. Yes this is one of the beers I picked up on my latest trip to Wisconsin, why do you ask? 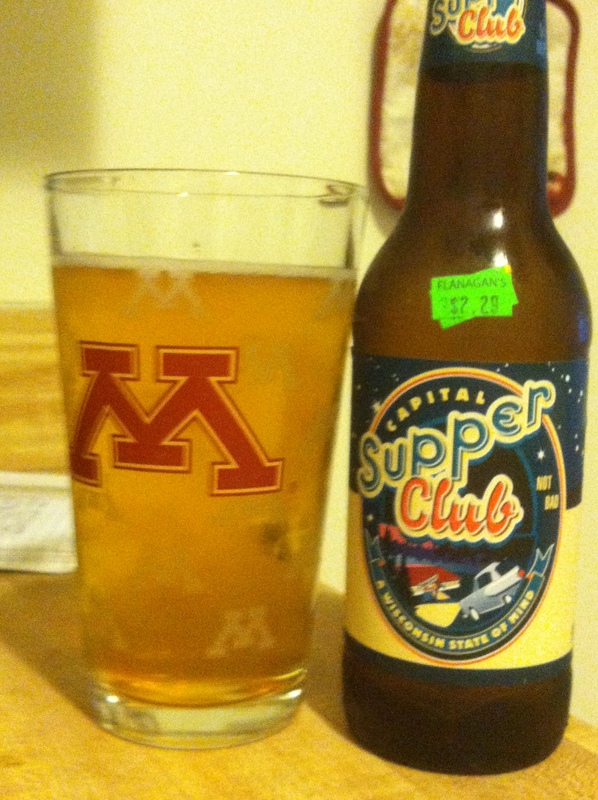 Supper Club was recommended to me by my dad and just about everyone else I know in Wisconsin, but to be honest after drinking I don’t know why. Even the bottle claims it’s “not bad.” And it’s not BAD, it’s just not that great either. I don’t know that I’d pay $2.29 for a bottle of this again. Style: American Pale Lager. These are your standard American brews but they’re made without rice or corn like most American Light Lagers (think Bud Light or Miller Lite) are. They are sometimes called “all-malt” for this reason. They are usually still yellow and fizzy but are a bit more flavorful than the Macro Brew Lites are. Overall Impression: “Meh” would be a good word to describe this beer. Would I drink this tailgating? Absolutely. Would I drink this at a reunion of the Monday Night Beer Club? Only if it were the best thing on tap. I’d still order this in a heartbeat over Macro Brew Lites; but I think that has more to do with it being a craft beer than the flavor. Don’t get me wrong: as I said above, this beer is not bad. But it’s nothing special and to be honest, Capital has MUCH better offerings. I’m giving this two pints though, because it is just a tad bit better than that Naked Lap Lager I reviewed many eons ago when I lived in New York. Appearance: Dark yellow-gold, clear, very thin in appearance. Aroma: Not much to speak of. 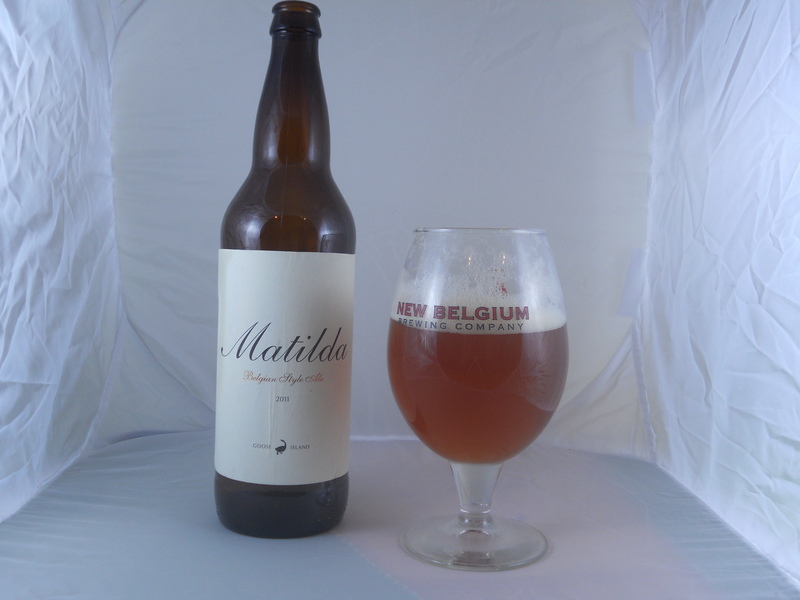 Taste: Somewhat malty–I can at least tell this is beer. There are no hop flavors to speak of. Mouthfeel: Bubbly, very bubbly. This might give High Life a run for its money with the “Champagne of Beers” moniker. Try this if you like: Miller, Bud, Coors, Michelob, etc. This has a bit more flavor though. Also try Longboard Island Lager or Yuengling. New Glarus’ Totally Naked also falls into this category but it’s much, much better. Part of the Samuel Adam’s Spring sampler pack, the Mighty Oak Ale was new this year. As I’ve said before, I view Sam Adam’s as a sort of craft brew-macro-brew hybrid, so you’ll never see a review of Boston Lager on here. But I do like some of their more interesting, crafty brews. See: Black and Brew and Infinium. This one was pretty good. Overall Impression: Pretty decent beer. Would be a good session ale. This should appeal to fans of beer and novices alike. I’d tailgate with this. It gets a lower rating than taste alone would suggest, mostly because it’s just not that interesting. Appearance: Reddish brown color, fairly clear. Not much head to speak of. Aroma: Mostly malt notes in the aroma. 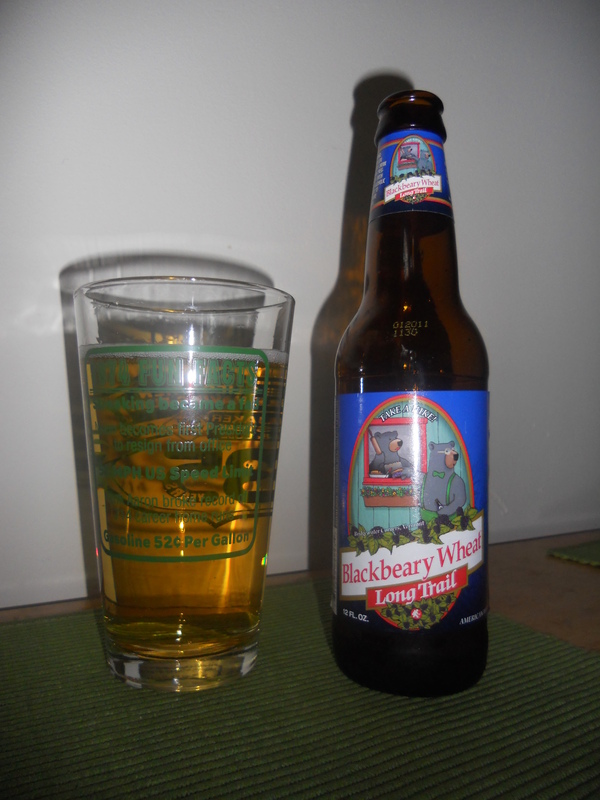 Taste: Somewhat sweet with a mild hop background. The oak notes really came through on the second (and subsequent) tastes. I love New Glarus Brewing Company. It’s a small craft brewery in a small town in Wisconsin, but its beers pack an amazing punch. If you are ever in Wisconsin, stop by and pick up a variety pack. You won’t be disappointed. Spotted Cow is a staple of my every day beer collection, and today I’m reviewing my new favorite: Two Women. Two Women celebrates the long, proud history of women in brewing. You can read all about it at the link above. This beer is actually the result of a collaboration between New Glarus and Weyermann Malting. sorry this isn't in focus. I had a better picture but can't find it. Overall Impression: Why wasn’t this made sooner? It’s fantastic. Light enough to be a session beer, but with so much flavor that you want to savor it. Aroma: A hint of cider with some other fruity flavors, and a yeast-scented background. Taste: Smooth. Fruity with not much bitterness (unlike most Pilsener’s.) 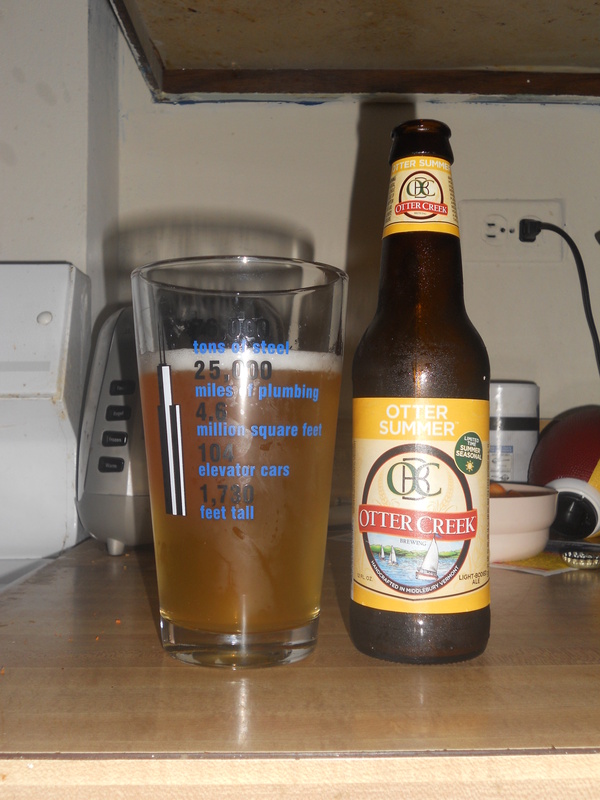 The hops come through more as you finish each sip, giving some nice, bright crispness. Mouthfeel: Smooth. Medium-bodied, goes down easily. Like drinking water. Smooth. Did I mention smooth?